Southern Security Health Insurance Company was bought out by the Security National Life Insurance Company in 2006, and subsequently stopped selling medical coverage. The Security Health Plan Health Insurance Company is being review instead. Marshfield Clinic, which is one of the biggest and best well-known medical facilities in Wisconsin, is partnered with the Security Plan Health Insurance Company. Use your zip code to find low health insurance quotes now! 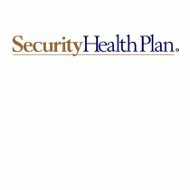 The Security Plan Health Insurance Company was created in 1986 in the state of Wisconsin. Since then, the company has grown to a tremendous size, insuring 200,000 residents. Focusing on Medicare, individual health coverage and health care services for employers, the Security Plan Health Insurance Company gives consumers a wide variety of options. The Security Plan Health Insurance Company also lists the address of its Eau Claire, Wisconsin, regional office on the company website. This is a physical location that consumers can visit, as opposed to the post office box address listed above. Policyholders can dial 1-800-472-2363 in order to speak to customer service. The hours of operation for Security Plan Health Insurance Company are available online. Employers that need to cover staff living and working in the state of Wisconsin can purchase Security Plan Health Insurance Company coverage, no matter how many employees they currently have. Recipients of Medicare, families, self-employed individuals and others may also get coverage from Security Plan Health Insurance Company. Doctors’ visits, referrals, hospital stays and other services recommended by primary physicians are covered by the Security Plan Health Insurance Company. Customers of Security Plan Health Insurance Company that purchase individual coverage may also get prescription plan. Those that need supplementary Medicare insurance can get their doctors visits and prescription drugs paid for through Security Plan Health Insurance Company. Cornell University Law School’s Legal Information Institute http://www.law.cornell.edu/wex/Insurance defines insurance as a binding contract between two parties designed to protect one against uncertainties while the other benefits financially. Security Plan Health Insurance has partnerships with numerous health care providers in the state of Wisconsin, making it easy for their customers to get care while simultaneously mitigating their costs. The Security Plan Health Insurance Company does its hiring through Marshfield Clinic, a large medical facility based in Wisconsin that has more than 50 separate locations. Information on benefits, employer funded programs or pay is not available at this time. While applicants can search for available positions via the Marshfield Clinic job portal, it appears that the website is not regularly updated. Many of the jobs listed are outdated. Pricing information on insurance coverage through Security Plan Health Insurance Company is available through its online quote portal. While employers will need to get in contact with Security Plan Health Insurance Company directly in order to find out how much money it will cost to cover their employees, Medicare recipients, and individuals can get a quote within minutes. Approximately 20 separate plans are offered to families, individuals, and Medicare recipients. Usually, plans become more expensive as features such as prescription coverage and dental insurance are added on. Discount prescription plans are offered to all policyholders for the same price. Although there is no online customer self-service portal, Security Plan Health Insurance Company has multiple modes of contact. Customers should first call the main customer service phone number, provided that it is during the hours of operation posted on the website. Policyholders also have the option of sending emails through the Security Plan Health Insurance Company website. Lastly, mail can be send to any of Security Plan Health Insurance Company’s offices. Because Security Plan Health Insurance Company operates in a specific region through the Marshfield Clinic, there is not a lot of information on this company available on the web. Generally, the rates quoted for Security Plan Health Insurance Company are comparable to other local insurance providers. Although policyholders are somewhat limited in choice, they are also aware of the Security Plan Health Insurance Company’s affiliation with Marshfield Clinic. Claims are thought to be processed and paid out reasonably as no complaints or legal actions against the Security Plan Health Insurance Company could be located. Review your health insurance rates after you type in your zip code!